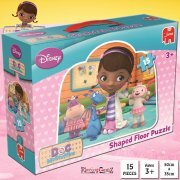 Four bright, colourful and very cheerful shaped puzzles, each showing a different character from Disney's hugely popular Doc McStuffins! Suitable for ages 3+, the 10-piece puzzle shows Doc herself, the 12-piece is Stuffy, the 14-piece is Hallie and the 16 piece is Lambie. 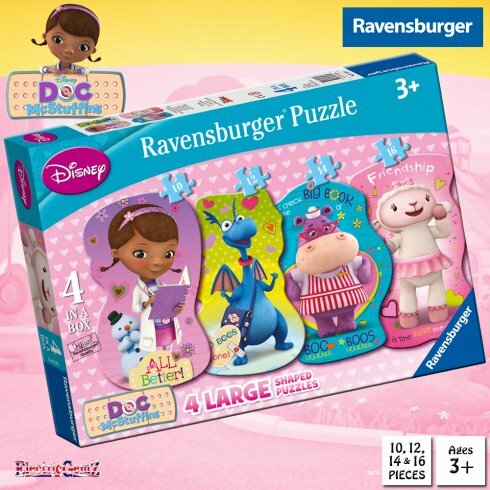 Four bright, colourful and very cheerful shaped puzzles, each showing a different character from Disney's hugely popular Doc McStuffins! 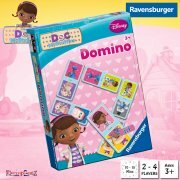 Suitable for ages 3+, the 10-piece puzzle shows Doc herself, the 12-piece is Stuffy, the 14-piece is Hallie and the 16 piece is Lambie. Each character is shown against a different coloured background along with key sayings or messages from the show. 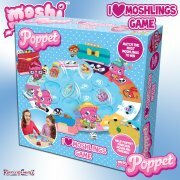 A full range of jigsaw puzzles is available from ElectricGemZ. 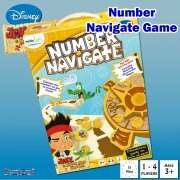 Search for Puzzles in the box above.